Pumpkin is a chock full of goodness. Its a good source for Vitamin C, K and E, and lots of minerals including magnesium, potassium and iron. I bought this vegetable to introduce it to my 5 year old son's diet as he is totally unaware of this. He liked it. And thats an acheivement for the day for a mom like me who has a fussy eater kid. Since red pumpkins are sweet in taste, kids do love them. Here's the simple version of Pumpkin recipe which i got it from my mom. Its bit hard to cut the pumpkin into small pieces. You can also steam it a bit and then try to cut it as it becomes soft. 1. 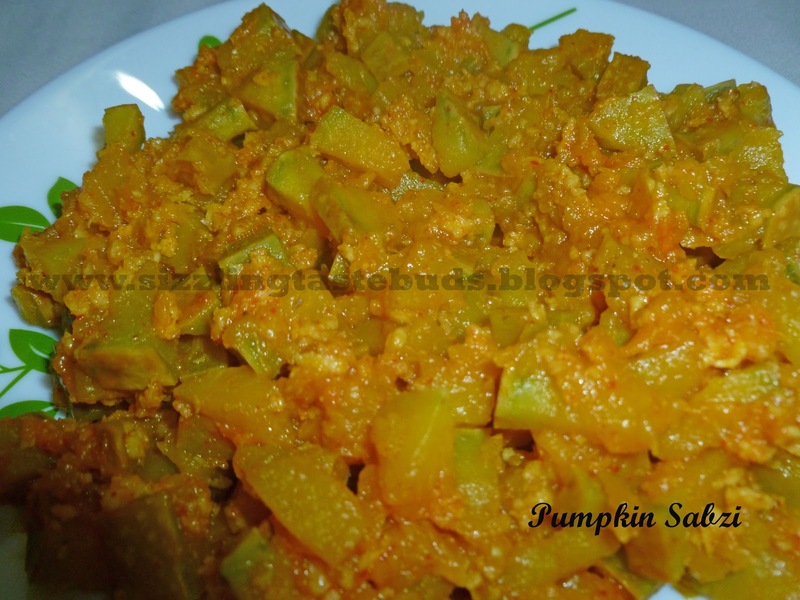 Clean and cut the pumpkin into small pieces. 2. Place it in a kadai and add water , close the lid and cook till its half done. 3. Add Red chilli powder, grated coconut and salt to taste and cook again for few more minutes. 4. 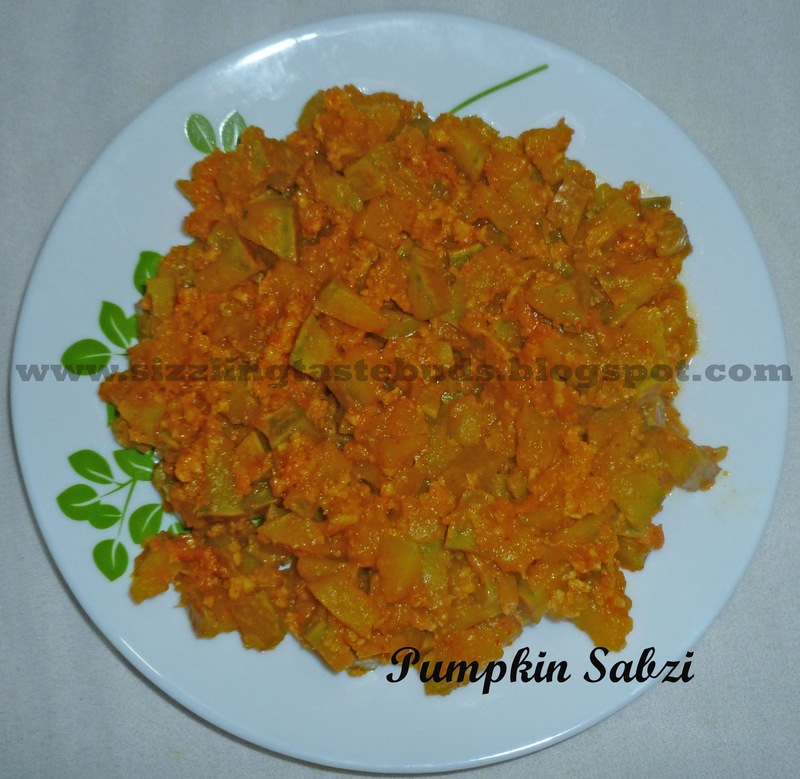 Tasty Pumpkin Sabzi is ready to serve. Enjoy this simple Pumpkin Sabzi and let me know how it tasted.